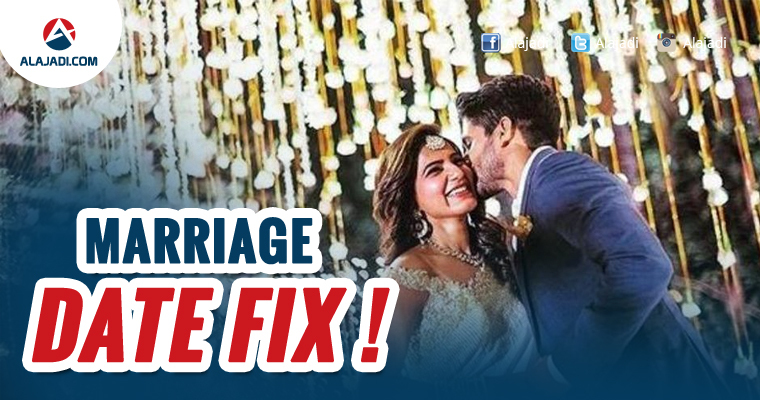 Samantha Ruth Prabhu and Naga Chaitanya’s wedding date is here and Sam is going to take a break from films to concentrate on the wedding arrangements. This October, the couple will tie the knot as per Naga Chaitanya’s family traditions and her family traditions. Naga Chaitanya himself had shared it and said, “We will announce the full details once everything is finalised. But the marriage will take place in October as per our traditions and her family traditions.” Now, it looks like the date has been finalized as well. Chay and Sam will get married on October 6. The star whose recent film Rarandoi Vedukka Chuddam received mixed reviews is quite happy, and also said that he enjoys the attention. This couple has given us major relationship goals, and seeing Samantha’s social media account, it looks like this is going to be the sweetest celebrity romance of the generation. From Chay’s father Nagarjuna lovingly referring to Sam as Kodali (daughter-in-law), to being accepted whole-heartedly – their love story looks like it is straight out of a fairy tale. Samantha will be seen alongside Vijay in Atlee’s directorial venture, and in Irumbu Kuthirai. The two Kollywood films are both much-anticipated releases of the year. She is also looking forward to the bilingual Mahanati, which is a biopic on actor Savitri. Though Samantha doesn’t play the titular role, she is pivotal to the plot. The shooting of this film started recently in Hyderabad. She will also be seen alongside Nagarjuna in the film Raju Gari Gadhi 2, and a couple of other projects in Tollywood. From the looks of it, the Manam actor will not be missed on the silver screen with these many releases. She is reportedly taking a break from work to organise her wedding. Naga Chaitanya, on the other hand, is celebrating the success of his recent release, Rarandoi Veduka Chuddam also starring Rakul Preet.